The 37th Infantry Brigade Combat Team of the Ohio National Guard sent a unit to station in Afghanistan last August. During deployment, each unit leaves behind a team of soldiers to keep things running properly on the home front—the rear detachment—and so the unit is currently split between Afghanistan and Ohio. A few months ago the HHC (Headquarters Company) lost three of its members during a suicide attack by an Afghan motorcyclist. The rear detach and the families at home have suffered the impact of the casualties, as well. It was agreed that it was time for a morale boost for the 37th IBCT. Freedom Alliance took that opportunity to treat eight spouses of deployed service members and several of the rear detachment soldiers to dinner and a show. It was an evening to leave behind the stress of the unit and the struggles of being a single parent, to enjoy one another’s company and be entertained. The evening began with a hearty dinner and dessert at Longhorn Steakhouse. Although the conversation centered on the soldiers’ kids, the missing spouses and deployed unit members across the ocean were ever-present in the minds and hearts of the dinner guests. 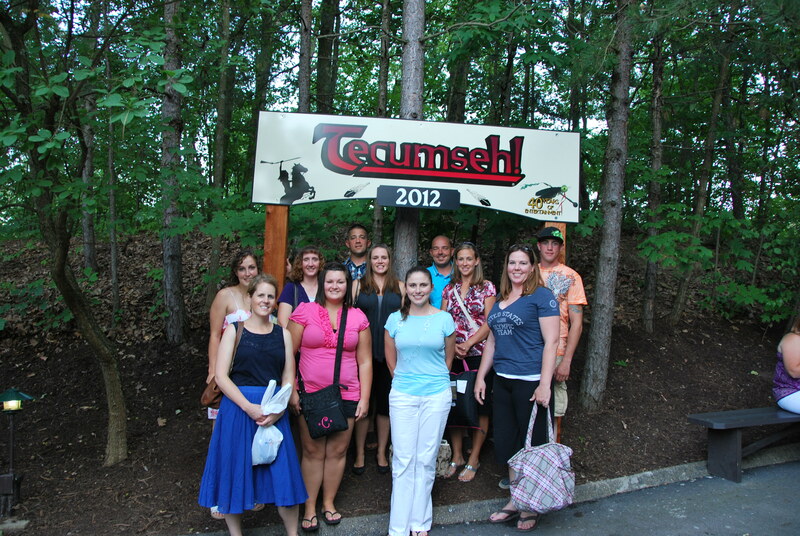 After dinner, the guests attended a performance of Tecumseh!, the long-running outdoor play about the legendary Shawnee Indian leader and early Ohio settlers. The HHC crew sat under a gorgeous night sky to be dazzled by this one-of-a-kind theater in the round, which includes running horses, live canon, and vivid battle sequences. Freedom Alliance wishes safety and comfort to the 37th IBCT and their families during the wait. May God speed them home.